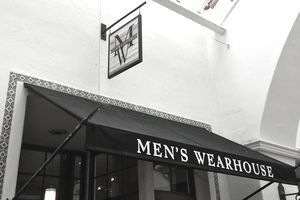 Just two years after it was purchased, the Men's Wearhouse chain hosted 250 Going Out of Business Sales, which is not about shifts in shopping habits, but rather about the retail relevance of a retail apparel brand that's best known for men's suits that moneyed millennials don't wear. The 2016 Retail Store Closings roundup list grew significantly with the announcement that all Jos. A. Bank Outlet and Men's Wearhouse Outlets will be closing for good, along with MW Tux and Men's Wearhouse namesake stores. What follows is a complete list of all Jos. A. Bank Outlet stores that hosted Going Out of Business Sales in the Spring months of 2016. The store closing list below is arranged alphabetically according to states and cities where the Going Out of Business sales were conducted. Address: 10420 Factory Shop Blvd.